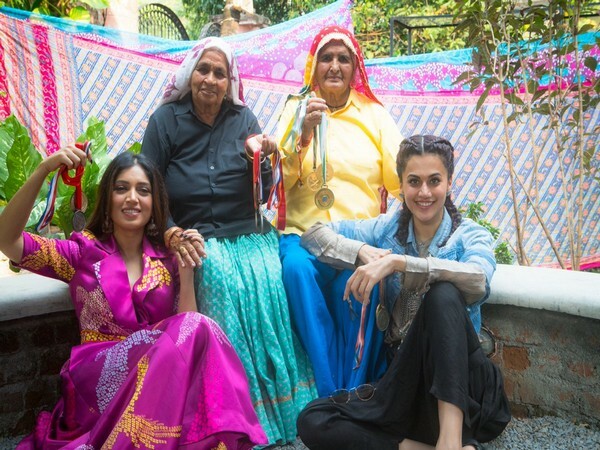 New Delhi (India), Apr 14 (ANI): Actor Bhumi Pednekar who is currently busy shooting with Taapsee Pannu for their latest biopic 'Saand Ki Aankh', recently shared a video of the world's two oldest sharpshooter women, on whom the story is based on. New Delhi [India], Feb 9 (ANI): Anurag Kashyap’s next production starring Taapsee Pannu and Bhumi Pednekar has finally got its title. New Delhi [India], Feb 9 (ANI): Bollywood actors Taapsee Pannu and Bhumi Pednekar are all set to star in Anurag Kashyap’s next production. Mumbai (Maharashtra) [India], Oct 18 (ANI): Director Vikas Bahl, who was caught at the center of controversy following allegations of sexual harassment against him, has filed a defamation case against Anurag Kashyap, Vikramaditya Motwane and others on Thursday. New Delhi [India], Oct 10 (ANI): Tainted director Vikas Bahl, who has been accused of sexual harassment, has sent a legal notice to his former partners of the now dissolved Phantom Films, Anurag Kashyap and Vikramaditya Motawane.